Mike is a Senior Executive Coach with Executive Coaching Network, Inc. (EXCN). 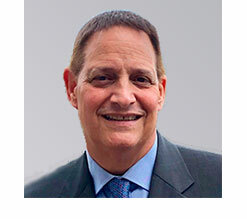 He has over 20 years of experience in financial services, communications and consulting, and has held senior leadership positions in the United States, Europe and Asia. In addition to his work as an executive coach, Mike is also Senior Talent & Leadership Consultant. Mike aims at improving business results by maximizing the leadership capability and management productivity of executives, leaders, and organizations around the globe. 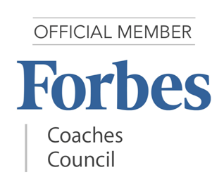 Mike is a member of the Forbes Coaches Council, an invitation-only community for leading business coaches. As an executive coach, he works with executives in Europe, the Americas and Asia to improve their personal leadership effectiveness and management capability as well as those of their teams. Mike stresses that the key to a successful coaching engagement is grounded in improving the leader’s willingness and ability to engage key stakeholders in an ongoing dialogue that builds self-awareness and self-confidence. The dialogue ensures that the leader is engaged in the role as a leader, and as a colleague by surfacing the behaviors, actions and incidents that impede both individual as well as team performance. Behavioral change is difficult, which is why Mike co-develops “behavioral experiments” with his coaching clients. These “experiments” are designed for the leader to test and enhance new leadership behaviors, which builds security and confidence. The insights gained help these leaders tailor their leadership focus to drive change and maximize performance. Mike leverages his experience as an executive coach and leadership consultant to assist senior executives who are looking to accelerate strategic transformation and change projects by improving leadership effectiveness in their organizations. Mike recently received the 2017 Silver “Excellence in Practice Award” (EIP) in the Executive Development from the European Foundation for Management Development (EFMD). The Excellence in Practice Awards recognize outstanding and impactful Leadership Development interventions between partner organisations. Mike led a team that worked with executives and leaders throughout Old Mutual Wealth to accelerate their strategic transformation. Prior to joining EXCN, Mike was the Global Head of Leadership Development and Talent Management for Deutsche Bank. He developed and implemented the Bank’s global leadership model and talent management processes. In addition, Mike installed the Bank’s global Leadership & Management Curriculum as well as its global executive coaching process for the top 2000 executives across the Bank. Mike holds a BS in Physics from Franklin & Marshall College and began his career as a Broadcast Systems Engineer for RCA. He currently serves on the boards of various charitable and educational organizations in the New York and Atlanta areas.